I recently set out to paint the risers on our stairs. After scouring pinterest I settled on a dark blue to light blue progression. I purchases 4 sample size blues ranging from dark to light. 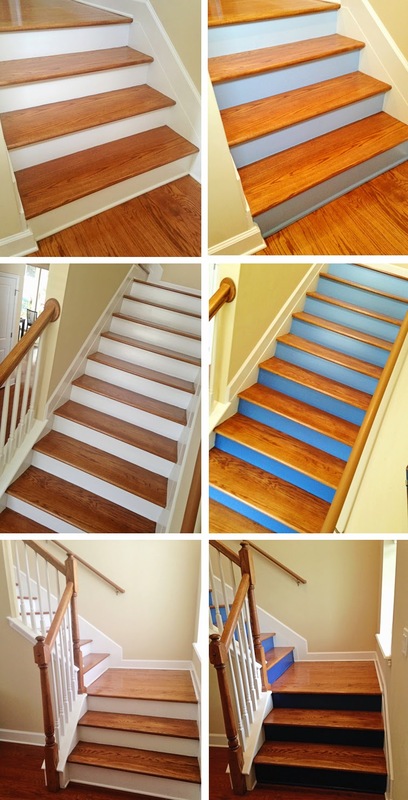 I painted two stairs with the purchased color and then added some white paint to make it lighter and painted 2 more stairs. Here is the finished project.